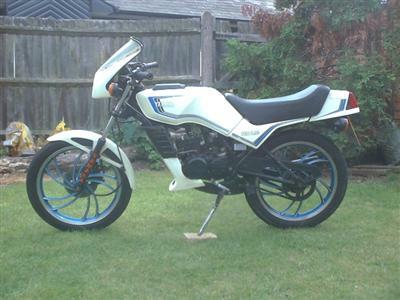 The RD 80LCwas the baby of the family, a bit cheeper to insure falling in to the sub 100cc group. 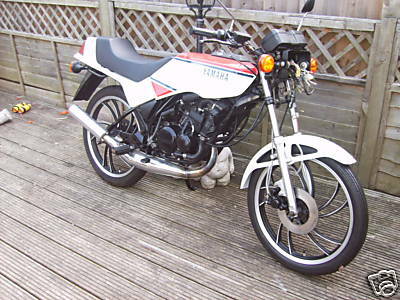 It sold for just 2 years, It was not that popular a little spindely and when you could have the 125 for not a lot more wich had a big bike feel about it why go for the 80lc. Still quight a few did get sold and now days they are very rare to find and when you do come across one its usualy a shed. They had a iron barrel not an alloy one like the rest of the family. Quight a few people put a 125lc lump in to the frame and theys realy did fly. I had a frend who did this after crashing his 125lc and picking up a shed 80lc for £100 he ezaly fitted the lump and everything over the weekend. It was so fast it left my MK2 125lc standing. 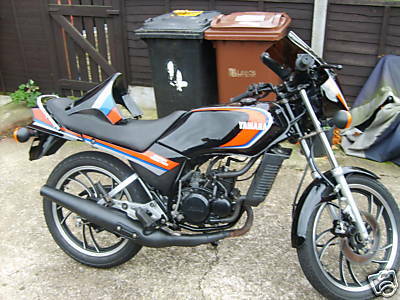 Yamaha RD80 LC German import.